PRESS RELEASE: Specialty Products Inc. now offering PMC parts and equipment worldwide – Specialty Products, Inc.
Lakewood, WA – Specialty Products, Inc. (SPI) is proud to announce worldwide distribution of Polyurethane Machinery Corporation (PMC) polyurea and spray foam proportioners and parts. PMC parts and equipment are sold and delivered from four Specialty Products’ locations in the US currently. SPI is a top distributor for PMC in the US, and stocks one of the largest inventories of parts and machines in the industry. SPI now brings that same knowledge, product and equipment portfolio, and expertise to customers in Canada and worldwide. One of the advantages of buying PMC products through SPI is the superior technical support offered on all of the proportioners sold. With 24/7 tech support from industry veterans with over 30 years individual experience, Specialty Products’ approach is one of excellence in product education. For each machine package sold, SPI allots one seat in our popular SPI Poly Academy Applicator Training Class. Taught by certified NACE inspectors and long-time veterans to the trade, these classes are an incredible value and hailed as being the best in the polyurea and spray foam industries. There are many options for PMC proportioners and equipment in the US and worldwide, including turn-key spray rigs featuring PMC parts and equipment. SPI will outfit trucks, trailers, or other rigs with a custom package designed just for the needs of that specific business. With the knowledgeable staff and selection of equipment ready at hand, Specialty Products can furnish just about any combination needed. While offering PMC branded parts and equipment internationally is new, SPI is no stranger to the worldwide distribution and global availability of polyurea and spray and pour foam products and equipment. For many years, Specialty Products has exported polyurea, spray-polyurethane and pour foam and equipment to Japan, South Korea, China, Indonesia, Mexico, Canada, the UAE, Israel, Russia, Australia, New Zealand, and parts of South America just to name a few. A seasoned, dedicated international sales department is available and at the ready to answer any questions. Since 1974, Specialty Products Inc. (SPI) has continued to be a premier formulator and manufacturer of spray-and-pour-applied polyurea elastomers, polyurethane foams and custom plural component equipment. Headquartered in Lakewood, Washington, SPI also has operation centers in Rowlett Texas, Chicago Illinois, and Anchorage Alaska. We provide our clients with a one-stop shop solution through manufacturing our own products, spray equipment and accessories, safety protection equipment, and providing 24/7 technical support. Our unique testing environment allows our chemists to rapidly create and test product variations, and quickly bring them to market. This ensures you will have a product that is prepared with the performance characteristics to meet your individual project needs. 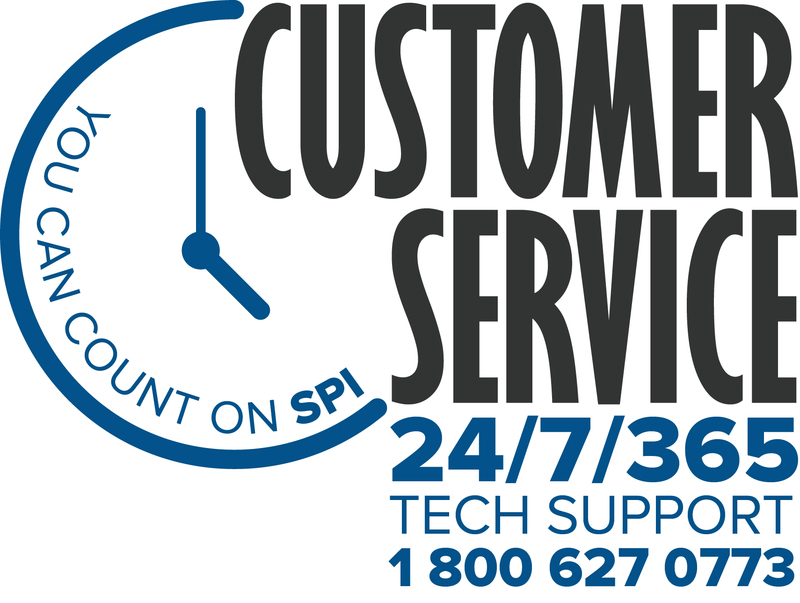 SPI provides superior technical customer service and continuously educate ourselves on the latest industry technologies. Our qualified personnel provide comprehensive, hands-on training classes to educate clients, contractors, fabricators, and OEM engineers on how to properly use plural component spray equipment and apply all of our products. SPI is a founding member of the Polyurea Development Association (PDA). With a technical staff of a combined total of 200 years of experience, SPI is your trusted source for polyurea coatings, foam products and spray application equipment.